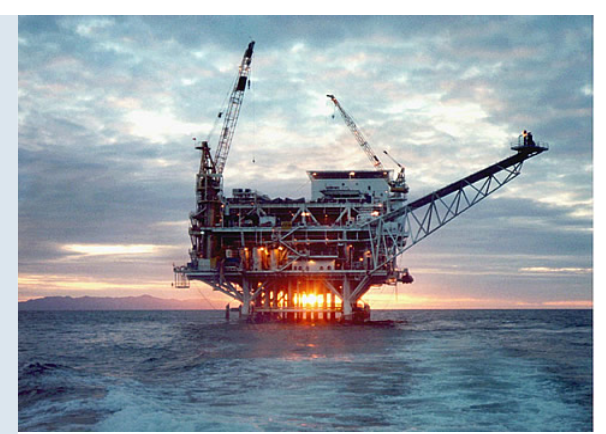 Increasing Operational Risk in Oil & Gas? The current price slump is setting the stage for a spike in operational risk for oil and gas drilling enterprises. People, equipment and the environment will all be more vulnerable as a result of drawdowns in personnel resulting from the tighter margins starting in 2014 and deepening to this date. To understand the root of the impending challenge, one needs to look at the massive reductions in personnel from every corner of the upstream sector. When a manager receives word to reduce his or her operational expenses to preserve company profitability, one of the first places hit is personnel. The personnel typically chosen for layoffs are the newest and least experienced in the company. This makes sense to any manager looking for a short-term solution to an immediate problem. Cutting newer employees will lower costs and minimize the effect on current operations but also contribute to a longer term challenge and effectively set up the next “Great Crew Change.” The basis of this issue is that our newest people are the seed corn of our future reliability. In the 1980s, we created the original “Great Crew Change” under arguably milder circumstances. By eliminating the newest workers and saving the more established, we are creating a very similar experience gap that will only widen at a greater rate the longer the down turn persists. As the market eventually recovers and new people are brought on, they will essentially be starting from the beginning. When the inevitable wave of retirements come from the down-turn survivors, we will need to fill those jobs with significantly lesser experienced people to meet demand. With critical positions manned by people possessing less experience and perhaps a segmented work history, the risk of not efficiently identifying and correcting deviations is greatly increased. The outlook for the next twelve months is not offering much relief, so deliberate action must be taken now if this risk is to be managed, mitigated and ultimately eliminated. If we do take action now, we can leverage the experience of our senior people before they leave the workforce. Fortunately, this problem has been addressed and solved in areas outside the Oil & Gas industry. In the US military, we forced ourselves to deal with this experience problem as a routine circumstance vice an abnormal scenario. Every unit rotates its entire force on roughly a three-year cycle. That means the entire 3200 person crew of an aircraft carrier is replaced, from the Captain to the recruit seaman, every 36 months, essentially gaining 85 new people every month and losing your 85 most experienced. That is a challenge which requires deliberate action. The primary way we handled the challenge was to create a culture based on mentoring, procedural discipline and standardization. Advances in technology and complexity in the mid 20th century forced us to get away from a culture based on World War II era experience. The main elements to address are: providing operationally usable procedures in the field, scenario based training in simulators where deviation recognition, normal and emergency procedures can be held to a high standard, and lastly, leadership that supports and requires full participation. It is one thing to identify the changes required to transform your organization’s culture, it is quite another to implement that transformation. If changing team behaviors and culture were easy, leadership could just come up with a strategy and send out a memo. However, as quoted many times, “Culture eats strategy for breakfast.” So how do you change culture? The most effective method for implementing sustained change has proven to be deliberate mentoring and coaching. Coaching is the process of one team member helping another improve performance. While one individual helping another is beneficial, coaching’s greatest strength is when the entire organization takes on the coaching role. Each team member now gains the benefit of everyone with greater ability or experience. As the team members improve, so does the entire organization. Experience is now maintained at the organizational level, not the individual level. Coaching and mentoring are skills which require training just like any other. Until organizations have the internal capability to teach the skills of effective coaching, they will need help from outside the industry. Help by groups that have lived and breathed a culture of leadership, process, and team behaviors. Help by groups that realize coaching your replacement is not a threat to your own job but an opportunity for them to improve and advance. Help from groups who saw coaching work in other high reliability organizations and truly believe in it. For more info visit https://cavu-intl.com.